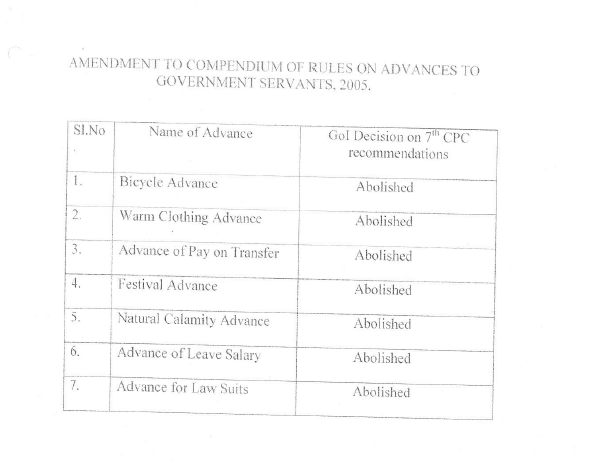 Subject: Grant of advances - Seventh Pay Commission recommendations - Amendment to Rules of Compendium of Rules on Advances to Governmnent Servants. The undersigned is directed to say that in pursuance of the decision taken by the Government on the Seventh Pay Commission‘s recommendations relating to advances. all the interest free advances stand discontinued as per attached annexure. with the exception that the interest free Advances for Medical Treatment. Travelling Allowance for family of deceased. Travelling Allowance on tour or transferr and Leave Travel Concession shall be retained. 2. ln addition. 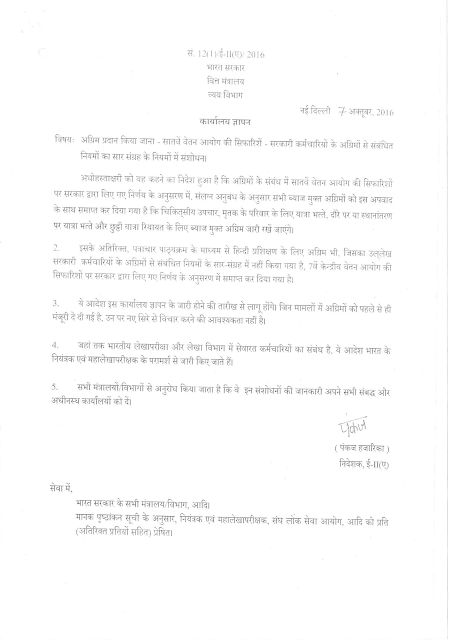 the advance l’or training in Hindi through Correspondence Course. which is not mentioned in the. Compendium of Rules on Advances to Government Servants. also stands abolished in pursuance o'l the decrsron ot Government on 7th CPC recommendation.